Coffee factory. 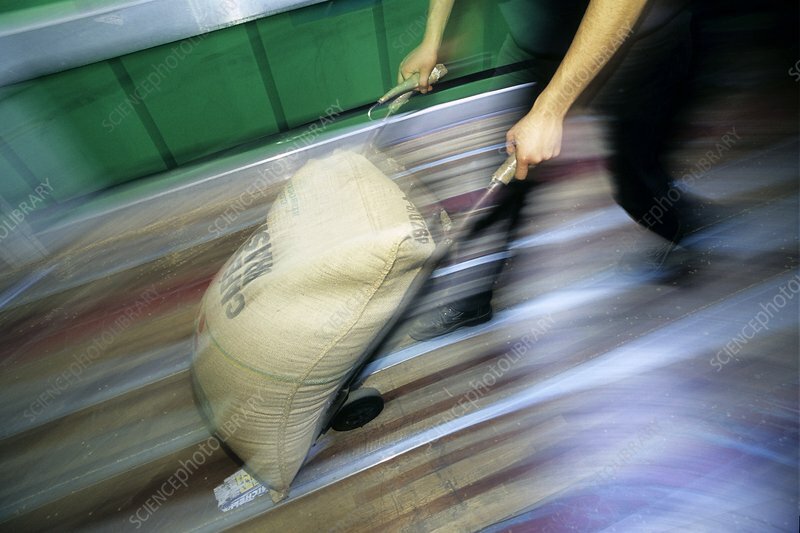 Sack of raw (unroasted) coffee beans arriving at a factory for processing. Photographed at the Lavazza factory, Turin, Italy.